Let’s examine the duties of the executor, trustee and agent as it pertains to your estate plan. Selecting a person to carry out the provisions of your estate plan is one of the important and difficult decisions involved in the estate planning process. Yet, the selection process is often overlooked. There are a few practical guidelines in the selection process. Before selecting any person, it is vital that you understand what it is that person should be doing and how that person may interact with others. Accordingly, the following is a brief discussion of the duties of the executor, trustee and agent (under a power of attorney). Executor – an executor is the person named in a will to serve as the personal representative of a testator when his or her will is being probated. When the person dies, the executor is charged with the responsibility of locating and probating the decedent’s will. 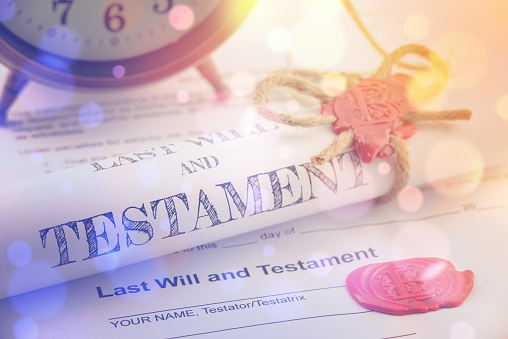 Further, the executor must then safeguard the decedent’s property, pay debts, taxes and expenses, and finally distribute any remaining assets to the beneficiaries as specified in the decedent’s will. Typically, an executor’s responsibilities last from nine months to three years. Trustee – a trustee is the person (or institution) named in a trust agreement to carry out the objectives and follow the terms as set forth in the trust. A trustee’s duties will vary with the complexity of the trust agreement, thus the more complex the trust agreement is, the more knowledgeable and experienced the trustee should be. The duties of a trustee, however, typically include satisfying tax objectives, protecting trust assets in compliance with the dispositive intentions of the grantor, and distributing assets to beneficiaries as expressed in the trust agreement, among other responsibilities. Unlike an executor, a trustee’s responsibilities can last many years, even beyond a generation or two. Agent – an agent is a person named in a power-of-attorney (there are multiple types of powers of attorneys, including health care power of attorney and financial power of attorney) who settle choices on your behalf in the event you are unable to do so yourself. An agent under a POA may have responsibilities that last through the lifetime of the person for whom the POA was designed. With a general understanding of duties and responsibilities, the following is a non-exhaustive list of general attributes of a good executor, trustee or agent-in-fact. These nine attributes are just a non-exhaustive list of factors that should be well-thought-out during your selection process. As each role (i.e., executor, trustee, and agent-in-fact) is slightly different, some factors should garner greater attention depending on the role. For instance, a trustee with close familial ties to the beneficiaries may or may not be the best fit on a discretionary trust, whereas someone with a more objectivity and less personal connection may be better suited for the decision-making responsibility. If you have any questions about the selection process or wish to speak with an experienced estate planning attorney, please contact the estate planning attorneys at Puff & Cockerill LLC. Our estate planning attorneys are experienced and well-versed with the particular nuances of each role and the corresponding responsibilities.